Looking for reliable AC installation in the Pt. Pleasant Beach, NJ area? Air Technical Services Heating, Air Conditioning & Plumbing is proud to be a part of this community, serving all your HVAC needs. Whether you’re researching AC options for new construction or ready to replace your outdated unit with a much more energy efficient model, our certified HVAC technicians are here to help. We take pride in helping our Pt. 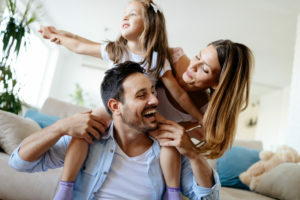 Pleasant Beach customers select the best AC unit that fits the unique layout of their home or business and ensures that comfort needs are met perfectly. At Air Tech, we work diligently to give our Ocean County customers good reason to call on us. We know customers in Point Pleasant appreciate value, which is why we offer up-front, fair pricing based on a thorough examination. No surprises here. Fair, honest, dependable and reliable. Our expert service is second to none. Your air conditioning unit runs hard through the summer. At some point, it may end up being more cost-efficient to consider installing a new air conditioner, rather than to continuing to repair an outdated, inefficient unit. 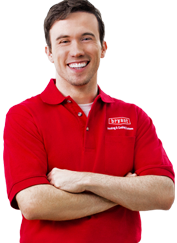 At Air Tech, our trained and knowledgeable HVAC technicians are ready to help you find the most long-lasting and cost-efficient air conditioning unit that will work best for your Point Pleasant home or business. If you are experiencing troubles with your air conditioning, contact the HVAC experts at Air Tech to schedule an inspection today. Why should I consider an AC replacement? A new HVAC system is not only better for the environment, it can also help you reduce heating and cooling bills. It’s important to note that each case is different. A routine maintenance check can potentially add years to the life your air conditioner. But depending on the age of the unit (and other factors), it may make more sense to consider the installation of a new AC. New, energy-efficient systems have higher SEER ratings (seasonal energy efficiency ratio), which means they can help save energy and cut costs. Plus, new air conditioners also provide additional comfort control, superior air flow and a long operating life with extended warranties. All of which provide a better peace of mind…and a better resale value, too! When should I choose to replace vs repair? If your air conditioner is older than 20 years, it’s definitely time for an air conditioning replacement. If your system is between 10 to 20 years, give our experts a call to come by for an inspection. Our HVAC experts will talk you through your options on whether you should invest in a new unit or in AC repair is still a viable alternative. As a rule of thumb, we suggest that you consider investing in a new unit if your equipment is more than three-quarters of its life expectancy and repairs end up being more than a third of your replacement costs. I have an old air conditioner that still works. How does the R22 ban affect me? The Environmental Protection Agency (EPA) has been cracking down on air conditioning equipment that use ozone-depleting chemicals. If your residential or commercial air conditioner is more than 10 years old, more than likely it still uses R-22. According to the EPA, transitioning to a new AC unit with the new environmentally friendly R410A coolant, requires a redesign of systems. This can only be done by dealers trained in the required installation and service techniques. Air Tech customers can feel confident they’ll receive guaranteed comfort as all of our technicians undergo continuous training to stay ahead of industry standards. Unsure If You Need a New AC Installation? Don’t Hesitate to Call Air Tech! Call Air Tech for more information about your AC installation in Pt. Pleasant, NJ. Our HVAC experts are ready to help you determine the most cost-effective, energy-efficient option for your home or business.